My paper for this year’s Ecclesiastical History Society conference has been accepted. I publish the abstract below. This is (I believe) the first attempt to open up an almost entirely obscure aspect of recent religious history, and I would be delighted to hear comments or reflections from readers. The second half of the twentieth century saw far-reaching changes in the circumstances of people with learning disabilities in the UK. Advances in the scientific understanding of conditions such as Down’s Syndrome and autism were accompanied with a shift at national level away from institutional living to integration within local communities. This paper examines the reactions of the Church of England to these several developments, as they played out amongst the leadership and central institutions of the church. How far was the church engaged in the legislative change that went through Parliament, and with which messages did its public voice sound? In relation to the conference theme, the educational needs of those with learning disabilities were forced upon the churches in a new way. How did the leaders of the Church of England understand the needs of these people both in religious education in schools, and as members of local congregations? Perhaps not surprisingly, the first review of my book on Michael Ramsey comes from the Church Times, in the issue of 31 July. The reviewer is Graham James, bishop of Norwich, to whom my thanks are due. Read the full review (PDF). As is the case with most reviews, James points out a factual error, where I have indeed misnamed a theological college (or rather, applied a later name change to an earlier period). I rather think that if this was my worst mistake, I should think I had done quite well. More interesting are some points of interpretation of subsequent Anglican history, which I mention here. James quite rightly notes a mismatch between the memoirs of archbishops and those of the politicians with whom they interacted, where evidence of influence is as absent in the latter as it is present in the former. He asks whether this is self-delusion on the part of ecclesiastics, or an attempt to downplay influence on the part of politicians, in memoirs often written at a later point in time. I suspect the answer is something of both. 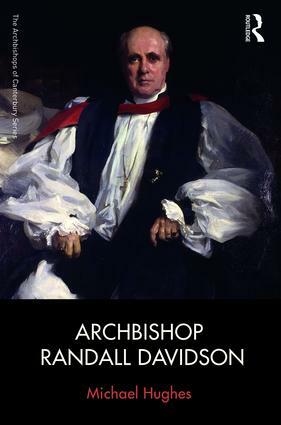 One of the central burdens of the book is that, as Ramsey sought and gained greater autonomy from the state while overseeing the emptying of the moral law of its Christian content, there opened up a space and an opportunity for the Church of England to discover a more prophetic role for itself, speaking the truth to power from a greater distance. James, I think correctly, notes that “it has never emerged, except, perhaps, in the Runcie years under an archbishop rather at home with the Establishment.” There remains a whole new research project into why the Church of England didn’t grasp the opportunity. James also suggests that one of the results of the greater autonomy of the church to make its own decisions was that “the Church of England became increasingly captive to its own internal political factions. Ramsey seems to have been innocent to this possibility…… His grasp of ecclesiastical politics was immeasurably weaker, and his interest even less. We suffer from the consequences still.” Certainly the General Synod can be partisan, as more recent transactions such as those over the ordination of women bishops show. But so could the Church Assembly be that preceded the Synod, and a great deal less efficient with it. One would hope that no-one would seriously now argue that the Church of England needs Parliament to help mediate when it can’t make up its own mind (which is what this view seems to me to imply.) If there is partisanship, it isn’t the fault of the Synod as an apparatus, but is about people and culture and an endemic lack of trust between members of the same church. I don’t think Ramsey could have done much to change that, at least. 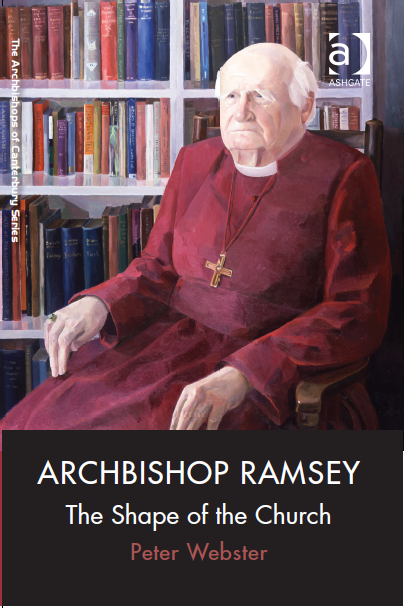 The second half of this book on Archbishop Michael Ramsey consists of a selection of edited sources. As I now have a full first draft of these, I thought I’d publish the list here. There may yet be some changes to this, with some of the sources listed making way for others. Comments on the selection are very welcome. Apart from the speeches to the House of Lords, all of these are edited afresh from unpublished items in the Ramsey Papers at Lambeth Palace Library. I would be happy to supply readers with the full reference(s) on request.